If Simple Google Shopping is not enough for your ecommerce business, but you still want to display products on any market place with Wyomind, we recommend you to pay attention to Data Feed Manager for Magento 2 and 1. With the help of this extension, you will connect your ecommerce storefront to literally every online marketplace. Below, we shed light on the most important features of the Data Feed Manager extension as well as explore its backend. 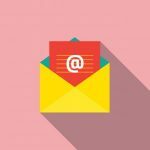 To export your products catalog to shopping engines efficiently, the Wyoming module provides the ability to utilize various file formats for data feeds. For instance, you can create feeds in csv, txt, or xml formats. Furthermore, the extension allows you to include all product types into the feed. 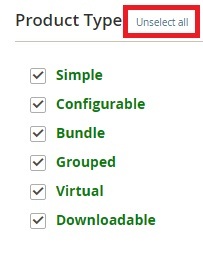 In addition to simple, configurable, grouped, and bundle products, you can easily add custom types to each feed. There is also the ability to create multi-stores, multi-currencies, and multi-VAT data feeds. And since various shopping engines have their unique requirements, your feed should comply with them. Luckily, Wyomind Data Feed Manager for Magento 2 and 1 helps to solve this problem easily by introducing 19 sample templates and providing the ability to rapidly find any attribute in the attribute library. Besides, the extension lets you preview your data feeds and avoid misprints due to the syntactic helper. 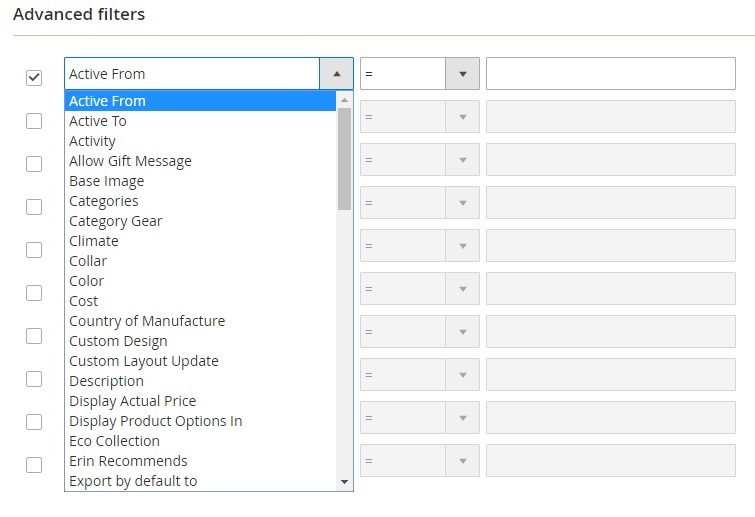 Complete customization of your data feed according to your products catalog is not a problem anymore. Wyomind Data Feed Manager for Magento 2 and 1 provides the ability to add any Magento attribute to your template, create attribute sets and category filters, utilize OR/AND statements in filters, add PHP options, and many more. It is also necessary to mention that updated data feeds can be automatically and regularly sended to the shopping engines. 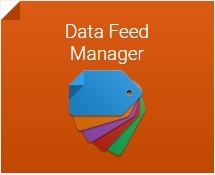 To achieve this goal, Data Feed Manager offers scheduled tasks and FTP upload. Action (Edit, Generate, Preview, Delete). As you can see, there is information about processing time and inserted products as well as a download link. 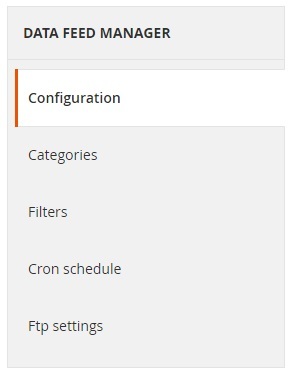 While creating or editing a feed, you have to deal with 5 tabs of options: Configuration, Categories, Filters, Cron schedule, and Ftp settings. In Configuration, you specify such parameters as Name (name of a newly created file), File Type (xml, txt, csv, tsv), File name format (you can add date and time to the file name), Encoding type (UTF-8 or Windows-1253 (ANSI)), Path (directory with the feed file), Status (Enabled/Disabled), and Store View. 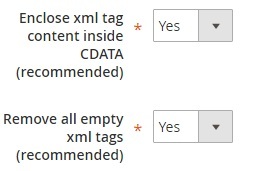 Besides, it is possible to activate such features as Enclose xml tag content inside CDATA and Remove all empty xml tags here. 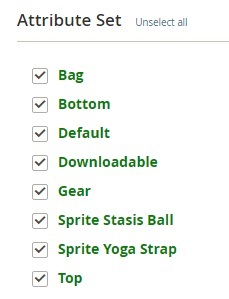 The section also displays Header, Product, and Footer patterns. 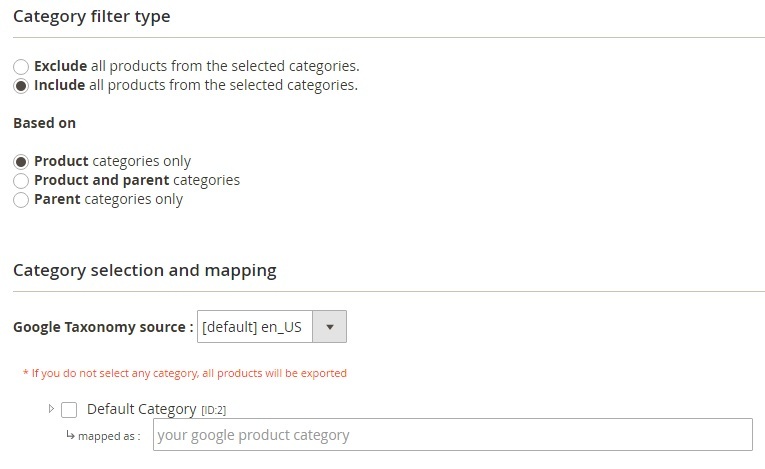 As for the Categories tab, it is divided into 2 sections just like in case of Wyomind Simple Google Shopping for Magento 2 and 1: Category filter type and Category selection and mapping. 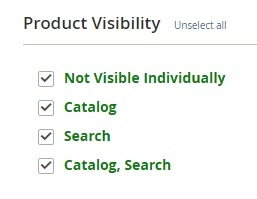 In the Category filter type section you can choose to exclude or include all products from the selected categories based on product categories, parent categories, or both. 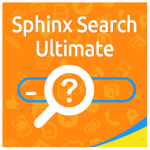 The Category selection and mapping section lets you choose Google Taxonomy source and Default Category. Note that all products will be exported, in case you do not select any category. As for the Cron schedule tab, it is absolutely similar to one available in the Simple Google Shopping extension, so you don’t have to learn the Cron syntax. Tick days of the week and hours of the day to enable the automated feed generation. 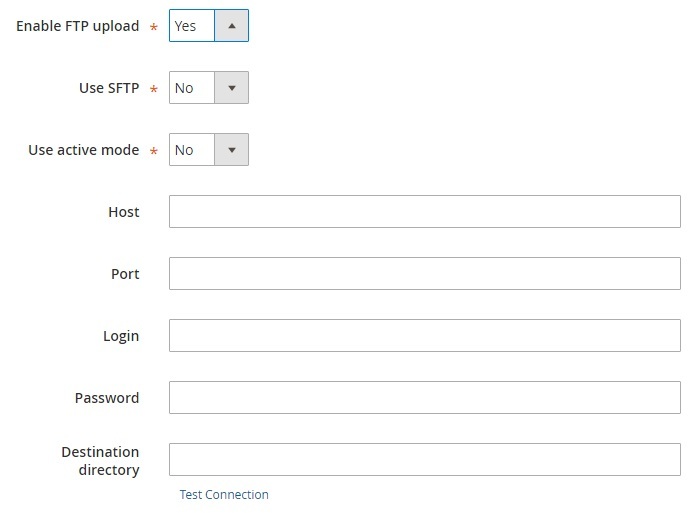 After activating Ftp settings, you get a bunch of new options: Use SFTP, Use active mode, Host, Port, Login, Password, and Destination directory. Below, there is a test connection link. In Wyomind Data Feed Manager general settings, it is possible to view your license as well as set up cron job reporting and change core settings. 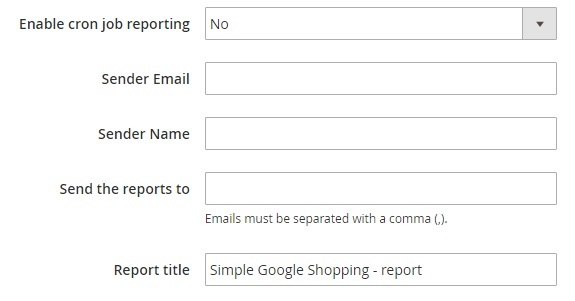 In Cron job reporting, you enable/disable the feature, specify sender email and name as well as emails to send reports to, and set a report title. 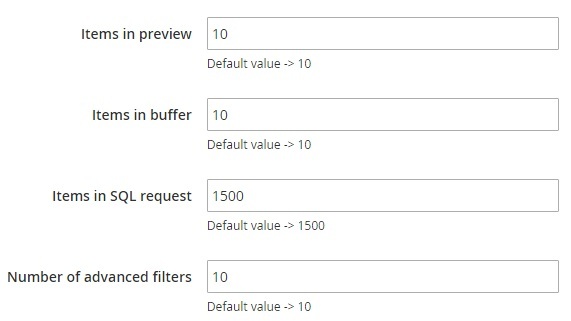 As for Core settings, they let you choose a number of items in preview, buffer and SQL request as well as a number of advanced filters (the default value is 1500). 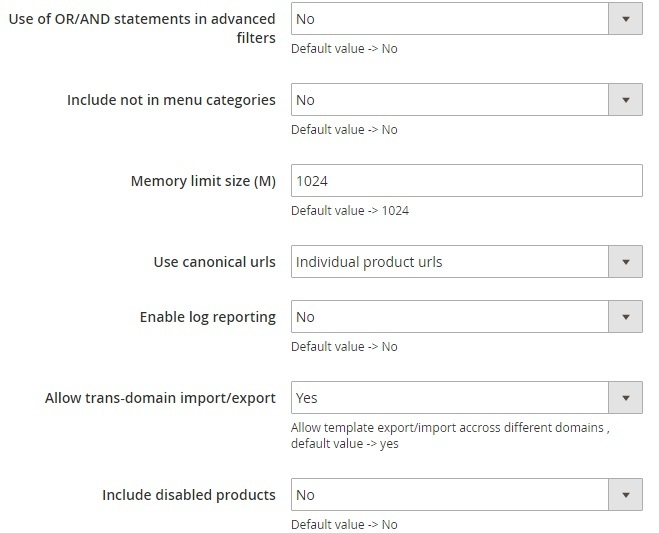 Besides, you can edit such parameters as Use of OR/AND statements in advanced filters, Include not in menu categories, Memory limit size (M), Use canonical urls, Enable log reporting, Allow trans-domain import/export, and Include disabled products. 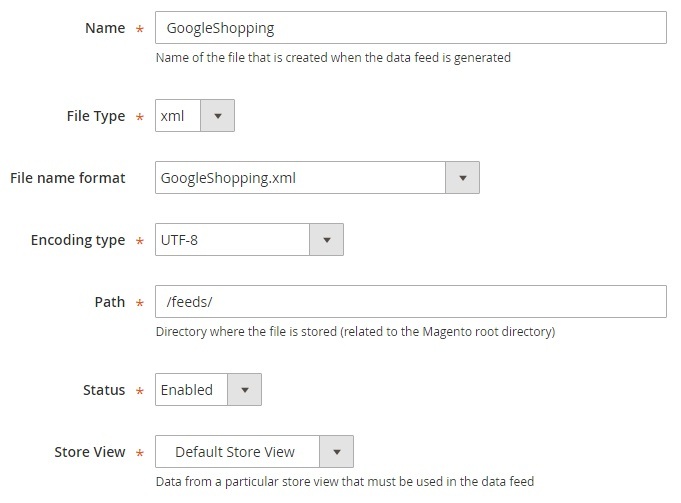 Wyomind Data Feed Manager for Magento 2 and 1 is another useful and user-friendly toot, but unlike Simple Google Shopping, it is designed to connect your ecommerce website to all possible shopping platforms. The price of the extension starts at €95.